MetWorks plans and monitors safe, fuel-efficient and economical shipping routes that avoid adverse weather conditions. MetWorks’s skilled routers use the latest UK Meteorological (Met) Office weather model, which provides real-time weather predictions worldwide. The model computes mean sea-level pressure, wind direction and strength, as well as significant sea heights at regular intervals for up to one week ahead. MetWorks combines this high-quality information with years of experience in plotting ocean routes for any planned passage. The company reviews its routes every day using the latest weather model and directly transmits any revisions to ships. MetWorks’s experts are qualified British Master Mariners with a practical understanding of ships, seafarers and the sea. They are familiar with many vessel types, and organise routes tailored to individual handling characteristics. MetWorks operates on a one-to-one basis, providing reliable routes and regular forecasts, with additional advisories in extreme conditions as necessary. MetWorks addresses individual customer requirements, and its tariffs are among the most competitive in the industry. The company plans its routes using advanced software with UK Met Office data and delivers them directly to the bridge via email and satellite. MetWorks recognises that adverse weather conditions can slow ships severely, increasing operating costs and threatening delivery schedules, as well as the safety of the vessel, its crew and cargo. 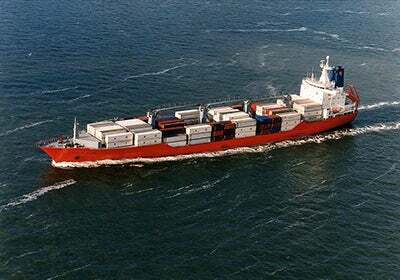 The company helps ship masters to maximise efficiency, while minimising the time, fuel and ultimately the money wasted struggling in adverse conditions. Ship operators can keep voyages on schedule, reduce overall costs and benefit from the insurance discounts often granted to users of weather routing services. MetWorks’s Full Weather routing service includes regular recommendations and advice, as well as frequent forecasts up to a week beforehand. Metworks can also offer a limited fast track weather routing service, which offers extended forecasts and recommendations for high-speed vessels operating on regular liner services in the North Atlantic and North Pacific. MetWorks helps yachts to find suitable cruise areas for clients, or transfer from one region to another, such as during summer in the Mediterranean Sea and winter in the Caribbean. The services can be tailored to suit the requirements of the captain, passengers or operators. MetWorks can provide tailored forecasts for any offshore operation. The service is ideal for marine survey works, where unexpected changes in the weather or sea conditions can waste time and damage machinery. MetWorks’s forecasts allow clients to identify the best days to progress, or when to secure operations before conditions become too rough. These can also be provided for relocation or tugs and tows on any passage worldwide. This is often required by protection and indemnity (P and I) insurance organisations as a provision to taking out insurance for the passage. Now it is the end of the Summer cruising season for the charter yachts cruising the Mediterranean Sea regions. MetWorks' mission is to help its customers get their ships from port to port as safely and economically as possible by continuously monitoring positions and devising routes to avoid the worst of the weather.